The computing industry thought it had cracked 4K streaming with the HEVC codec – Netflix is already using it – but celebrations have been halted by new royalty claims. It all started back in March when an industry group called HEVC Advance created a patent pool – that’s a licensing agreement between multiple patent owners – that sought to compile over 500 HEVC-related patents. For reference, High Efficiency Video Coding (HEVC) is a way of compressing footage that could halve the bandwidth needed to stream 1080p video, or bring 4K bandwidth usage down to 1080p levels. That basically means it’s a lot more efficient to ship high-resolution content to consumers by using the HEVC codec. However, HEVC Advance has now demanded that anyone making money by streaming videos using HEVC should pay royalties to the organisation, specifically 0.5% of the total revenue generated by such efforts. The patent pool currently consists of five companies – General Electric, Technicolor, Dolby, Philips, and Mitsubishi Electric – all of which look to profit from the royalty payments. It was expected that products like TVs, smartphones, Blu-ray players, and PC operating systems would incur fees for using HEVC. However, it comes as a surprise that HEVC Advance wants to collect both media fees, and also product payments – we’re talking $0.80 for a phone and $1.50 for a TV. Those charges isn’t directed at a customer specifically, although users may end up footing the bill indirectly if industry players decide to increase prices as a result of the new demands. Netflix already takes advantage of HEVC support in some existing smart TVs with its 4K streaming service. 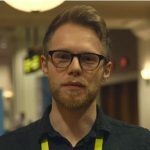 That’s because 4K videos encoded in existing compression formats like H.264 and AVC take up huge amounts of storage, which means better broadband connections are required to handle the streaming. Unfortunately, Netflix’s offering has now been compromised by HEVC Advance’s demands. It’s also likely that the demands will turn off other players from entering the 4K streaming business. That’s bad news for TV manufacturers, who have consistently pressed onward with 4K marketing, despite the scarcity of UHD content. If a 0.5% royalty fee makes 4K streaming cost-ineffective, less companies will be keen to offer 4K content, and 4K TV sales could struggle as a result. It’s worth noting that HEVC isn’t the only solution to 4K streaming woes; both Google and Mozilla are trying to develop rival codecs that can offer competitive bandwidth usage.